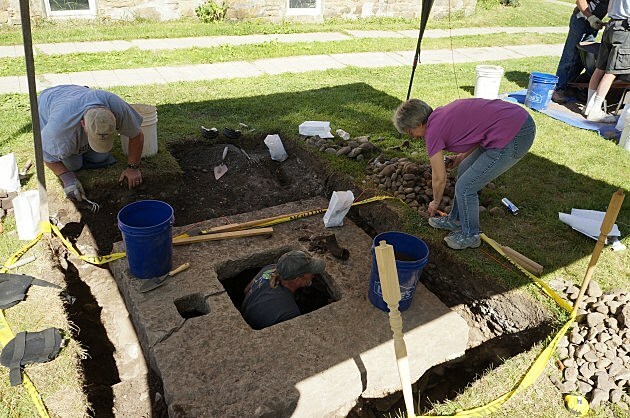 When it comes to exploring history nothing is more 'hands on' than historical archaeology. The funny thing is, nothing ever goes quite how you'd expect with an excavation. On the third day of the excavation after uncovering the well-cap on Day 2, we opened up two additional test pits to explore the far side of the well, additionally we began to excavate the back-fill from inside the well. Due to the design of the cap-stone and the fact that it was hand-hewn, we were able to establish that the stone dated between 1740 and 1800. 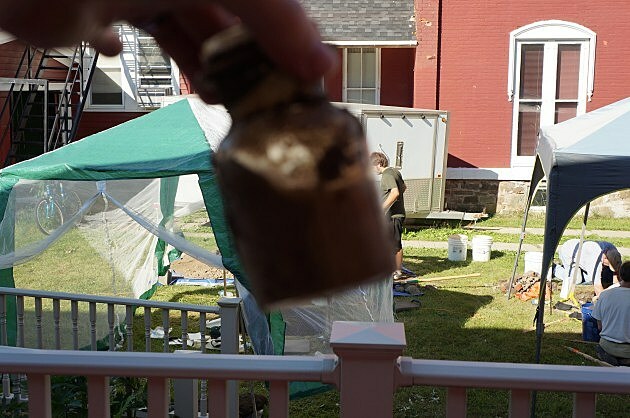 After moving well back-fill for the majority of the day our volunteer Brian Doyle, son of Fred Doyle behind the first excavation, began to uncover intact artifacts beginning with a ceramic pitcher that had a pristine kite-mark that dated the vessel to the mid-1800's. 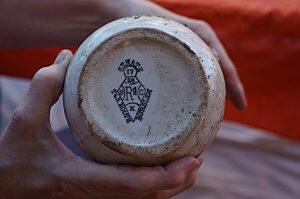 Excavation teams managed to recover more ceramics from surrounding test pits including pipe stems that would allow the lab teams to provide a date to the sites. However, after finding dated ceramics and an actual marker stone, we could definitely say that we had reached a mid-1800s and chronologically correct layer within the well. One of the more interesting finds retrieved from the well was an intact medicine bottle with liquid still sealed inside. On the fourth day of the excavation we conclude the excavation of test pit 4 after hitting a sterile layer. In return we opened up STP #1 which had previously shown artifacts from the Colonial Era. 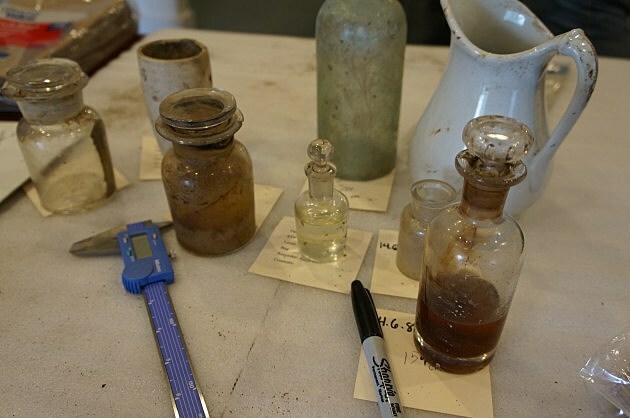 While the excavation teams uncovered more ceramics, glassware, and even intact pipe bowls the team working on the well recovered even more intact ceramics, glassware and even began to recover intact laboratory glassware in the form of glass slides, medicine bottles, pipettes and much more. 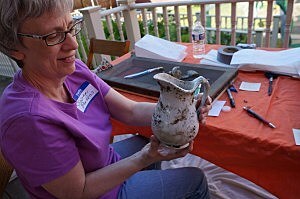 In fact, the well team were recovering so many artifacts the cleaning and accessioning teams weren't able to keep up. 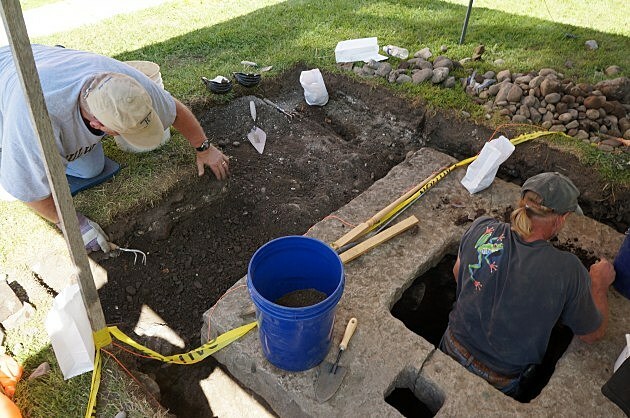 Phase 2 of the Fort Dayton excavation should bring us down to the Revolutionary War era and hopefully we will uncover some evidence of the forgotten fort. 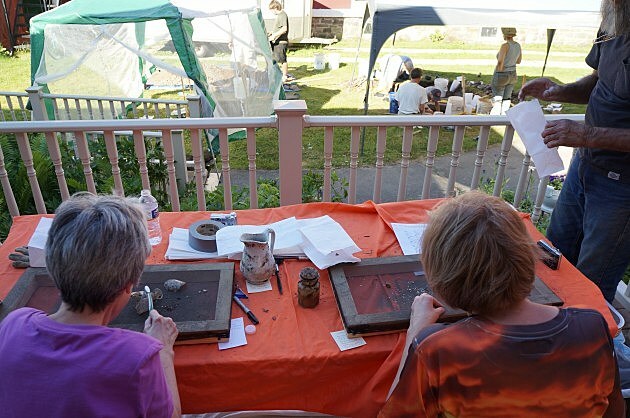 If you're interested in archaeology you can contact the Herkimer County Historical Society about volunteering to help out at the excavation.